“A few years ago, I attended a job interview - and I really enjoyed it. I answered the questions well, I built a rapport with the four members of the interview panel. I even made them laugh; so I was excited and thrilled when I received a ‘phone call to say that they wanted to give me the job. At least, I was excited and thrilled until I opened the letter formally offering me the role. During my interview, no-one had mentioned money – what salary I could be offered - and I had felt that it would be bad form to ask. The job had been advertised with a salary banding and I’d assumed, perhaps arrogantly, that given what I was already earning and the experience that I would bring to the company, that I would be offered a salary at the top of the range. My interviewers, however, had assumed that I would be so delighted to join their organisation that I would accept a reduction in my pay and they were only prepared to offer me a salary at the bottom of the advertised range. We had all been too circumspect, too British perhaps, to talk about money and, as a result, none of us got what we wanted – I turned the job down and they found that they still had a vacancy. You’re probably wondering why I’ve told you this story. My point is that sometimes we have to talk about money and today, Stewardship Sunday, I’d like to do just that. Those of you who have studied the bible in more depth than I have – and that’s probably most people here – will know that being a good steward of the church, of our Christian beliefs, is about much more than money; and our life here at St Mary’s is certainly not based on hard cash – it’s based on the sense of community that worshipping together brings, the deep peace we receive when we take communion, the comfort given by the familiar rhythm of our liturgy and the recitation of well- loved words, and the way in which our spirits soar with the beautiful music created by our choir and organ. 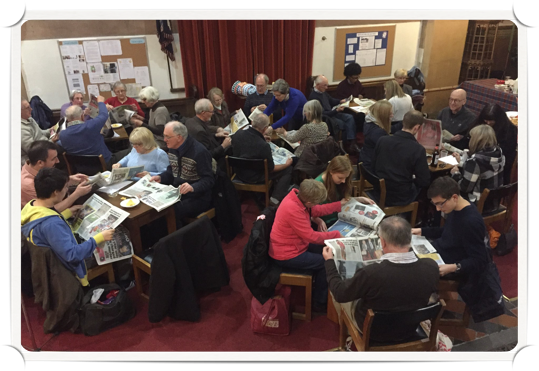 And yet…money is needed to maintain our spiritual and physical lives at St Mary’s – candles, communion wafers, communion wine, paper and ink for the photocopier, tea and coffee and biscuits – all of these things cost money. The most straightforward way to ensure that St Mary’s is maintained is with planned, regular giving with more of us joining the Stewardship Scheme and giving either through a standing order from a bank account or through the envelopes. You may be surprised to learn that, of the 135 people on our electoral roll, 78 are part of the stewardship scheme. Everyone’s financial situation is different - I know from my own experience how one’s income can suddenly change – and no-one should give more than they can realistically afford or feel pressured to do so. If you are already in the Stewardship Scheme, I’d like to ask you to review how much you give - up or down - to make sure that it is the right amount for you. Financially smart people regularly review how much they’re paying for insurance, mobile ‘phones and energy; so why not do the same with your giving to St Mary’s? If you’re not in the Stewardship Scheme and you are a taxpayer, please consider joining it and giving by a regular weekly or monthly amount by standing order and ticking the box that allows St Mary’s to claim tax back through the Gift Aid scheme. For every £1 donated, St Mary’s can claim 25p back from HMRC. You may feel that you can’t give a regular amount each month or each week. How about making a one-off donation or sponsoring some of our every day, bread and butter items, or should I say our bread and wine items? 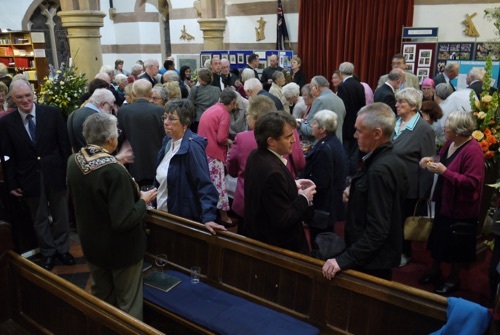 We are launching today our St Mary’s sponsorship form – you’ll find it at the back of the church. It lists the weekly costs of some of the most common expenditure items and invites us to sponsor them for a period of weeks – how many is entirely up to the sponsor. For example, you could sponsor the communion wafers – a weekly cost of £2. If you are in the Stewardship Scheme or are thinking of joining, please be assured that whatever you give is entirely confidential. The ministry team, the PCC, the Stewardship Committee have no idea who gives or how much. Only our Stewardship Recorder and the Treasurer know.